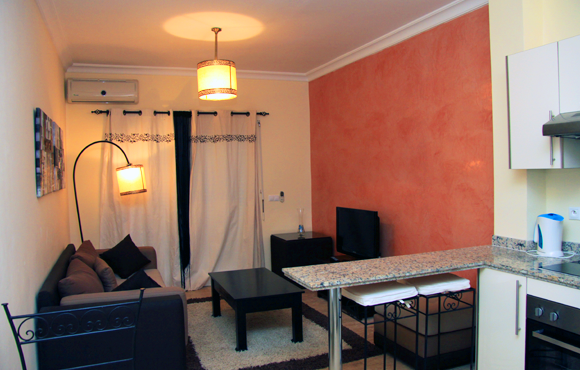 Available for both long term and holiday rental. 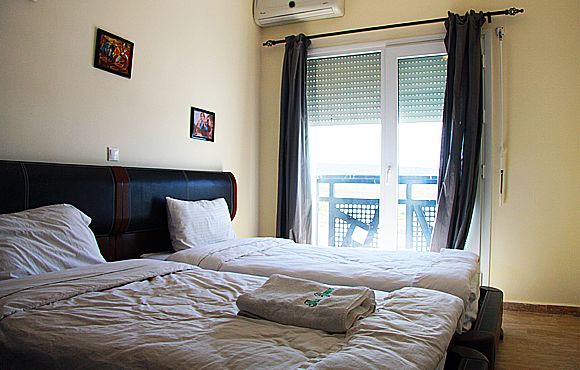 These 70 m² apartments all have air conditioning and heating in every room, flat screen TV, DVD player, and International satellite TV channels. The Apartments also have an American kitchen, which contains all European facilities, a washing machine, microwave, fridge Freezer, oven and hob. 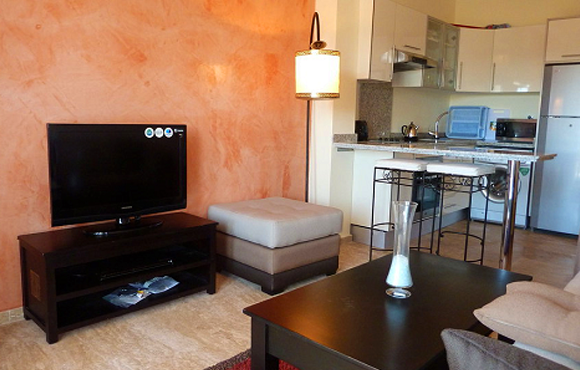 The apartment has 2 bedrooms, one master bedroom with double bed and an on-suite bathroom, which contains a Jacuzzi bath. 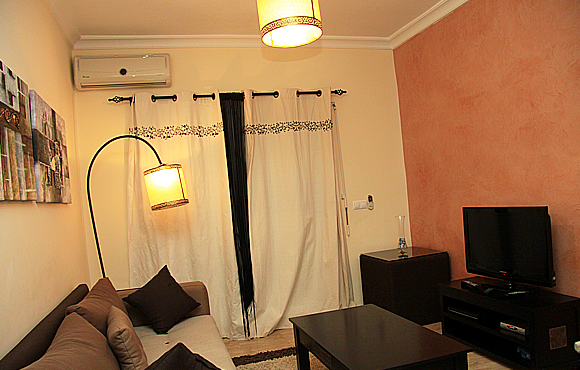 Available 70sqm apartments – Garden, 1st bedroom has 2 single beds. The 2nd bathroom has a large shower cubical. floor and Penhthouses.